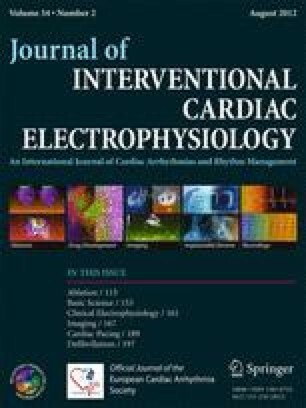 The purpose of this study was to compare the efficacy of focused ultrasound circumferential pulmonary vein ablation (CPVa) and BOX ablation (BOXa) in an acute atrial fibrillation (AF) model. Twenty mongrel dogs were divided into either CPVa or BOXa groups. CPV or BOX focused ultrasonic ablation was conducted in each group after successful establishment of the AF model. Before-and-after ablation left atrial effective refractory period (LAERP), AF inducibility, and induced AF lasting time were measured in both groups. The LAERP after AF model establishment was significantly shorter than that before establishment (102 ± 10 vs. 140 ± 10 ms, p < 0.01, in the CPVa group; 105 ± 8 vs. 139 ± 11 ms, p < 0.01, in the BOXa group). The AF inducibility after ablation was significantly lower than that before ablation in the two groups (98% vs. 28%, p < 0.01, in the CPVa group; 97% vs.14%, p < 0.01, in the BOXa group), and the induced AF lasting time after ablation was significantly shorter than that before ablation in both groups (233 ± 40 vs. 70 ± 29 s, p < 0.01, in the CPVa group; 240 ± 41 vs. 34 ± 22 s, p < 0.01, in the BOXa group). On intergroup comparison, AF inducibility and induced AF lasting time after ablation were significantly lower/shorter in the BOXa group than those in the CPVa group (14% vs. 28%, p = 0.021; 34 ± 22 vs. 70 ± 29 s, p = 0.048, respectively). In the experimental AF model, the epicardial focused ultrasound BOX ablation may be more effective to prevent the recurrence of AF compared with the CPV approach. Dr. Ling Z is the co-first author. This study was supported by the Health Bureau, Science Committee, ChongQing and Natural Science Foundation, China.